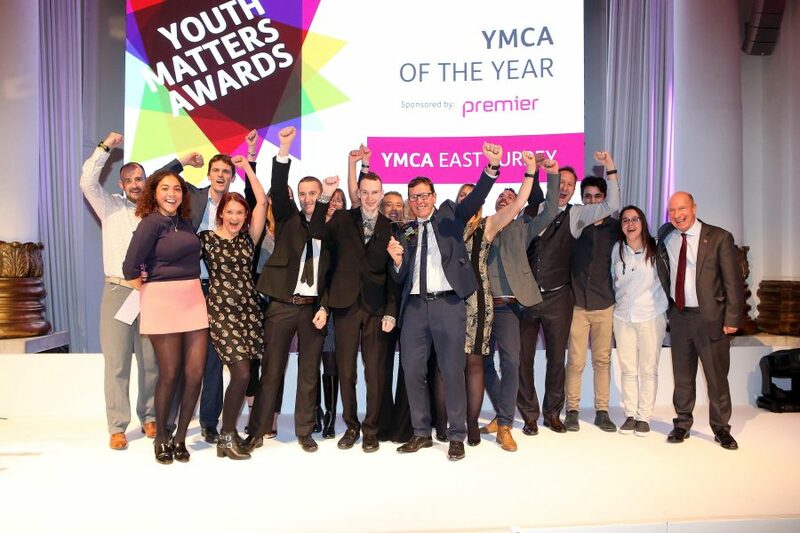 YMCA East Surrey is celebrating this week after taking the coveted title of ‘YMCA of the Year’ at the ninth annual Youth Matters Awards on Friday 2 November. The glittering ceremony, held by YMCA England and Wales at 8 Northumberland Avenue, was hosted by former T4 presenter Miquita Oliver. Over 250 guests celebrated the outstanding achievements and inspiring stories of young people and volunteers from YMCAs across England and Wales. YMCA East Surrey beat fellow finalists YMCA Burton and YMCA Norfolk to the prestigious ‘YMCA of the Year’ award after an exceptional twelve months of growth. Eighteen representatives from the local charity, including staff and young people who are currently accessing the housing and youth service projects, attended the event and accepted the award on stage. YMCA East Surrey’s inclusive services now support over 14,000 people, helping the whole community to belong, contribute and thrive, and their new Inclusive Sports Facility will reach completion shortly after six years of planning and three years of fundraising. Over £2.5 million has been raised for this purpose, including £495,000 from fundraising challenge events. Last year, 2,872 people took part in these events to raise money for the flagship project. The charity’s disability play and youth schemes have expanded from one to five boroughs across Surrey and West Sussex, providing fun trips and activities while helping parents and carers take a short break. Among many other notable areas of expansion and development, YMCA East Surrey also purchased YMCA Hillbrook House in Redhill, enabling them to continue providing supported accommodation for around 70 young homeless people every year. The Youth Matters Awards are judged by YMCA leaders, industry experts and young people. They recognise the vital work YMCAs deliver every day to help transform the lives of young people and give them a brighter future. Eventual winners are chosen by a combined vote from the judges and the public. In total, twelve awards were presented across a series of diverse categories which ranged from young people who have battled through adversity to YMCA staff who have gone the extra mile.